Find all the top places to have arcade parties in NY when you use ur comprehensive directory. If you're looking for a good place to have a children's party with awesome games and fun attractions, consider one of these arcade parties. Use this additional guide to check out the best family fun centers, indoor theme parks and arcade parties in NY. Host your next birthday party at Nanuet Arcade and take advtange of all of the great video games they have to offer! Nanuet Arcade, New York's newest arcade, brings a traditional video arcade into the 21st century. The arcade offers a wide variety of games ranging from fighting to racing, shooting, pinball and the classics. Classic games, rare to find in many other arcades, are brought back to life at Nanuet Arcade. New games range from music and dancing to fighting, racing and shooting. Nanuet Arcade features all of the newest video games including ReRave Plus, Neon FM, Pop N’ Music, Beatmania IIDX, In The Groove 2, Initial D7, DDR SuperNova, Time Crisis 4 and several more. It is also one of the only arcades in New York to feature the Chinese-made consoles 3D Street Fighter IV and Virtual Fighter 5. Their brand-new kitchen will supply all of the food for your party guests! Munch on delicious food items including cheese steaks, burgers, wings, chicken fingers, nacho and cheese, poppers and fries! Bring the cake to make the birthday celebration complete. Madd Fun Family Entertainment is perfect for arcade parties in New York. This safe and wholesome facility is affordable, educational, and fun. Not only does Madd Fun offer the perfect place for arcade parties in New York, they also feature a laser tag arena, miniature bowling, rock climbing walls, and even an animal land where children can stuff their own animals for a truly unique souvenir. For arcade parties, prices start at just $19.00 per child. Many different party packages are available. Pizza prices start at just $13.95. Many add-ons are available. For birthday parties, religious celebrations, reunions, corporate events, et cetera, your first choice for an arcade party in New York should be LazerLand of LI. There are various party packages available (Mission To Mars, Space Shuttle Sports Mission, etc. ); prices start at $329 for 1¾ hours; many add-ons and various combinations are available (lazers, glow sticks, temporary tattoos, autograph inflatables, party favors, food, etc, etc, etc. Funtopia USA is great for an arcade party in New York! This place rocks! There are games for everyone: video games for adults and preteens/ teenagers, even a separate area for toddlers. Funtopia has a maze, bumper cars, laser tag, and bowling -- everything for an enjoyable arcade party in New York. There are so many benefits to their party packages (prices start at only $269), including: disco dancing, private rooms, personal party coach, food, return visits, and so much more. They are open every day. Hours are: Monday through Friday 10:00 a.m. to 8:00 p.m.; Friday and Saturday, 10:00 a.m. to 10:00 a.m.; Sunday 10:00 a.m. to 9:00 p.m. For your arcade party in New York, Funtopia is a great venue. Step Into Fun Station USA for a Great Arcade Party! An arcade that is devoted to great video games, laser tag, awesome attractions, a carousel, even a flight simulator, makes Fun Station USA an excellent choice for your arcade party in New York. Fun Station USA has numerous party packages available; call for pricing and hours. Whether you are thinking about a team building event, family celebration, fundraiser, or any group activity, Fun Station USA is perfect for an arcade party in New York. Their professional staff is available to help you plan your arcade party. They have over 30,000 square feet of private space, a banquet hall, performance stage, food court, an exceptional catering menu, making it a premier space for an arcade party in New York. This place is amazing for an arcade party in New York! They have the most popular, newest video games, as well as air hockey, basketball, pinball, and so many more! For smaller children, there are games, specific to them, just for their size, age, & safety. 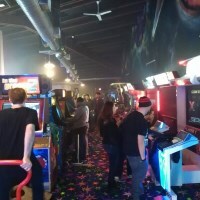 This business is family-owned/operated and their philosophy is to treat every customer like a part of their own family, which makes this place an amazing venue for your arcade party in New York. For easy and convenient fun, they are open every day of the year! Their hours are: Fridays/Saturdays from 10:00 a.m. to 2:00 a.m.; Sundays through Thursdays from 10:00 a.m. to midnight. Arcade party prices start at only $13.99 per person, and each receives $25.00 for Game Play Plus! What a deal! For your party, there is a two hour time (during which no other parties will be booked) just for your arcade party. For options for your arcade party in New York, call 551-697-5549. 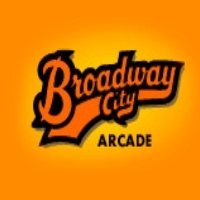 Experience the latest high tech video games, simulators, virtual reality, authentic New York food, New York memorabilia, and more at Broadway City Arcade. The interior design is like 1920’s New York. The fun experience will make you come to this place more than once. The place also hosts the best parties and corporate events in the city. The list of video games, pinball machines and simulators are varied. You can see vintage games like Ms. Pacman, Tetris, Milipede, and more. 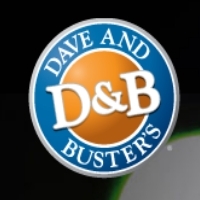 Plan the best birthday party at Dave and Busters in New York City. Parents can choose between 4 packages: The Player, The MVP, The Champion or Big Day Buffet. All packages contain a power card to pay for the arcade games you want to play. Check out the newest arcade games like Temple Run, Blackout, Dizzy Chicken, Milk Jug Toss and more. No matter how big or small, you can plan your party at this place. 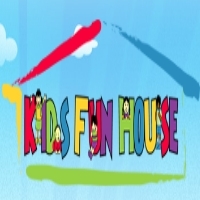 Kids Fun House in Ridgewood, New York is a family entertainment center that provides a place where the whole family can spend quality time together. The place is owned and operated by family members who have lived in the city for over 50 years, spanning 3 generations. The place offers birthday party packages and many interesting activities including the game galore where children can play in the arcade and redemption games with their tokens. 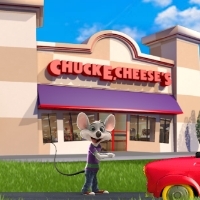 Celebrate your children's birthday party at Chuck E Cheese in Brooklyn, New York. The birthday child will be able to take a turn in the Ticket Blaster for a chance to win the Magic Ticket worth 1000 tickets. From the coolest video games and high tech simulator rides Skytubes attraction, the place has all fun covered. The game rooms are arranged into three unique sections: Toddler Zone, Kiddie Area, Skill Games and Arcade. Every zone can be a parents' zone and they can feel free to relax and watch their kids explore and play along anywhere. 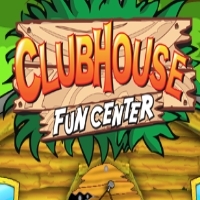 There are three birthday party packages to choose from at Clubhouse Fun Center in Rochester, New York. All the packages offer arcade game tokens where children can play in the gaming arena with their friends and compete with each other. Every week and month there are always special offers like pay for the first game and it will free for the second games. Besides arcades, the place also has 36 holes of spectacular miniature golf, delicious food and an amazing go-kart track. 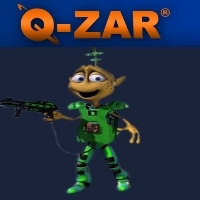 Q-Zar in Long Island, New York has more than just laser tag and birthday parties. The place is also home to one of the biggest arcade game facilities in the city. You can play the amazing Ticket Troopers, the game involves three players and is a center of the room quick coin game with an exciting police theme. There are also featured games like Guitar Hero, Terminator Salvation, and Time Crisis 4. With laser tag and biggest collection of arcade games, children will enjoy their birthday party at this place. 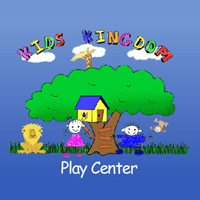 Kids Kingdom Play Center in Poughkeepsie, New York is a play center filled with family fun for children between the ages of 1 and 9 years. The place is known for its extremely clean play area. Kids can have fun playing while practicing social interaction, creative thinking and developing their motor skills. It has three private party rooms and a friendly staff. The facility has a large two level play structure, indoor basketball court, air hockey, arcade and video games, café and much more. 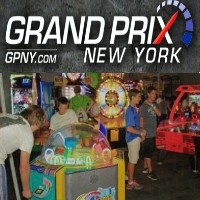 At Grand Prix New York in Mount Kisco, the place is dedicated to helping create memorable experiences and there is no better occasion to celebrate than a birthday party. It has a modern and state of the art bowling facility, arcade games, restaurant, and race tracks. It offers an exciting way to celebrate a birthday party with an easy and intuitive way to design, customize and book your party online. The arcade room has high tech facility includes an electronic ticketing system. 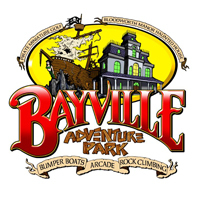 Bayville Adventure Park in Long Island, New York has been voted as the best arcade 5 years in a row. Professor Burton Bay’s Arcade of Amusements has half a million dollars worth of video and redemption games with great redemption prizes. You can pick spring and summer party packages with selection of your own attractions from The Lost Treasure of Captain Blackheart Bay Adventure Miniature Golf to Bayville Express Train Ride. 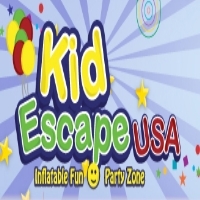 Kid Escape USA located in Brewster, New York is a place for arcades games, food and fun for kids. There are bouncers, slides, and obstacle courses for kid ages 2 to 10 years old. This place has a healthy and fun way to keep your child entertained all year long. Kid Escape offers a clean, safe, and fun environment for kids and also features two party packages: The Quick Escape and The Great Escape depending on the total guest number.